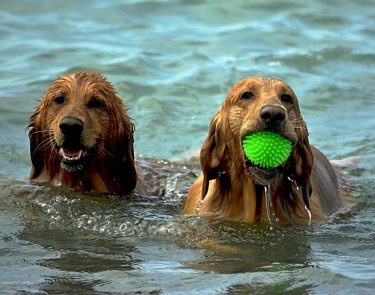 While on one of my researching missions last fall, I stumbled across a blog post from 2013 that someone had written about water playtime being deadly for dogs. The author used words I’d never seen or heard of before, ‘water toxicity’ and ‘Hyponatremia’. After I read the post and the sad comments that had been left by owners who had tragically lost dogs to Hyponatremia, I knew this was a topic I had to write about to warn other dog owners.